Abu Dhabi: The food authority has temporarily closed an Indian restaurant in Abu Dhabi for having insects in the premises and kitchen area. 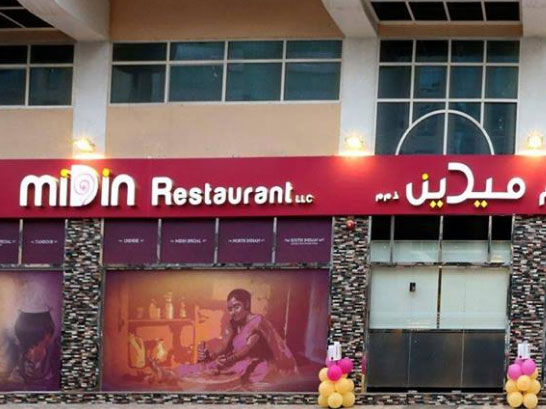 The Abu Dhabi Food and Safety Authority (ADFSA) issued a circular on Tuesday to shut Midin Restaurant, license number CN-2106346, and which was located in the area of Mussaffah. According to the government department, the restaurant was in violation of Law No. 2 of 2008 and posed a risk to the public’s health. “The food establishment was closed after it was found to have repeatedly broken a number of the municipality’s health code that jeopardised the safety of consumers,” said Thamer Al Qasimi, director of Communications and Community Services Department at ADFSA. "A report issued by the authority stated that the administrative closure was made after the restaurant repeated to carry out the violations, despite several warnings. The food outlet also failed to rectify their mistakes and did not meet the municipality’s standard of health and safety,” said Al Qasimi. Lack of commitment to clean the store. Accumulation of vegetables and food on the floor. Failure to maintain the safety of cooked food. The company failed to carry out necessary measures to control the spread of insects. Al Qassimi confirmed that the closure “will continue until the violations are rectified, and will reopen once the conditions are met”. He pointed out that ADFSA inspectors had previously issued four warnings against the establishment – in October and November last year, and then again in February and April of 2019. The restaurant was also slapped with two final warnings in February and March. He pointed out that the “restaurant closure comes within the framework of the inspectors’ efforts to strengthen the adherence of food safety rules in the emirate of Abu Dhabi,” which also emphasises on the strict policy code carried out by food authorities.